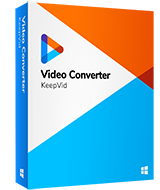 KeepVid Video Converter is software that can easily convert the WEBM format to MPEG format. The software is supported by various operating systems such as Windows, and Mac. The converter can provide you with the compatibility of over 1000 video formats that you can convert and watch it on your mobile. This video converter is fully compatible with Windows and Mac computers. It allows you to convert video with 30X faster converting speed. It helps to convert videos for you devices directly. Step 1. Start KeepVid Video Converter and add WEBM file from your computer. Step 2. Select MPEG-2 as output, and click the Convert button to start converting WEBM to MPEG-2. Firstly, you need to download the software from the official website and install the video converter in your PC. Once the installation is done, you need to run the software and add the files to it by clicking on the ‘Add Files’ button. Or you can drag and drop the WEBM file into the program window. Once the files are fetched and added, you need to select the format in which you want to convert your video files. You can select the format from the option ‘Convert all files to’. In this case, you can prefer to select MPEG-2 format. Once you have selected the format, you can press the ‘Convert All’ button to start converting WEBM to MPEG-2 video. •	Choose the right video format for playback on your device before conversion. • Make up your settings and set it as default. •	Take advantage of the batch conversion feature to convert multiple videos at one time. KeepVid Online Video Converter provides you with highest speed for converting your WEBM file to MPEG file as compared to other online converters.The WEBM to MPEG converter offers 30x conversion speed which will reduce the conversion time by 30 times.There are editing options as well using which you can edit the videos as per your convenience. 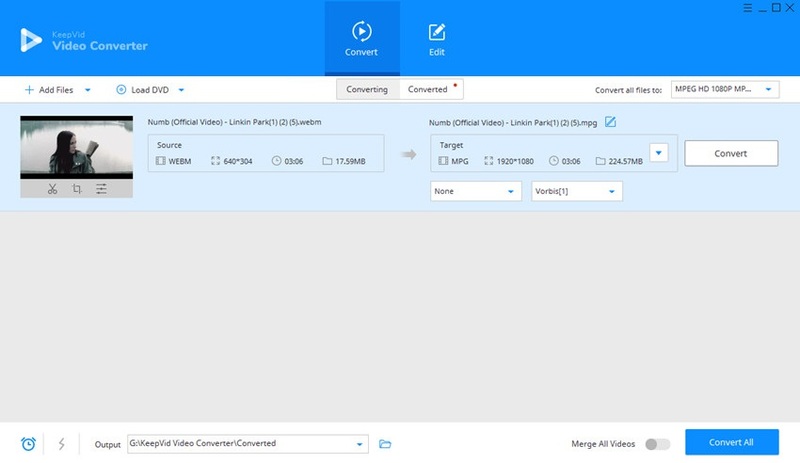 Multiple files can also be added to the converter in order to convert your video. It is an online video converter that you can prefer to use according to your needs. It is easy and simple to use. There is no need to download the software for converting your video. You can directly convert your video through the online platform. You can convert files from your computer as well as videos that are uploaded in various websites. You need to paste the URL and start converting your video. Movavi desktop converter can make it easy for you to convert your video in any format in which you may want. In order to play WEBM videos on your mobile phone, this converter is also a good option for you. You can also improve the video quality, adjust the sound quality, trim and join the video files before converting. It offers lighting fast conversion of your WEBM videos to MPEG videos. This converter allows you to edit videos before or after the conversion. Any video converter is a universal video converter which works on Windows as well as on Mac. 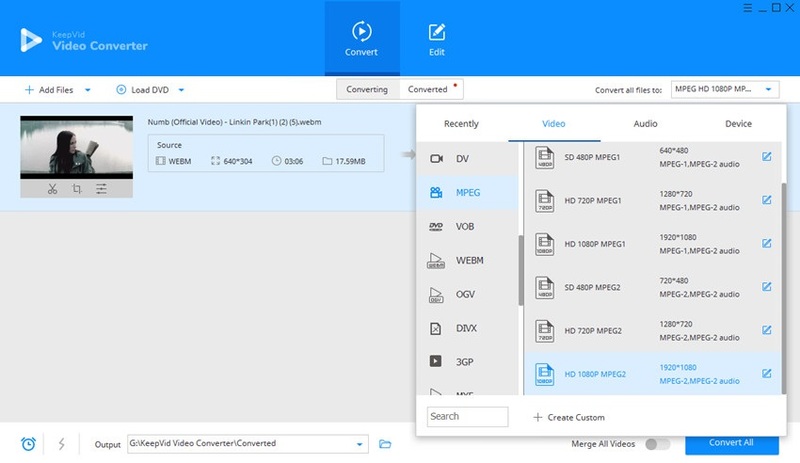 This desktop converter supports numerous video formats as well as can convert videos in some of the most popular videos formats such as MPEG formats. You can easily convert video formats for your mobile phone as well as for many other gadgets that you use such as PC, tablet, smartphone and much more. This converter enables you to convert videos to all kinds of video and audio formats. It is known for its fast conversion speed and high-quality output. It allows you to convert multiple videos in a batch.